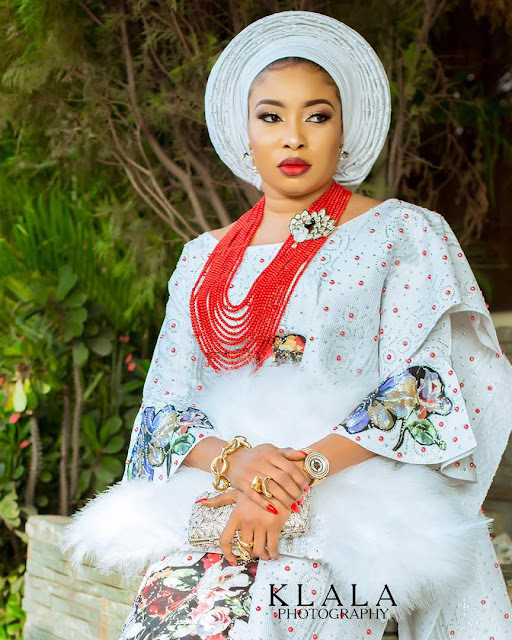 Popular Nollywood actress Liz Anjorin has come after stingy people as she stylishly promotes her new clothing store in Lekki Laogs. According to the single mother of one, if you have money and you can’t have real attires for yourself, the devil is manipulating you. 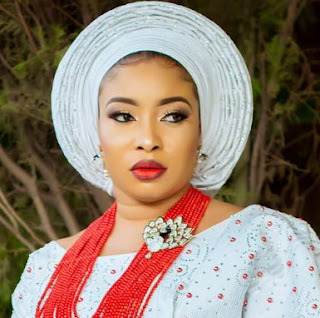 Liz Anjorin goes further to tell young ladies about the importance of dressing well especially if they are looking for a man to buy a G-Wagon for them. She didn’t leave the guys behind as she talked about the importance of dressing appropriately especially if you want a contract. “Facts about life…Devil is MANIPULATING your DESTINY if you have the money and can’t have real attires for yourself …‎ Don’t kill yourself with depression, dress well and elegantly… You can’t be wearing it cheap and expecting a guy to buy you a G-Wagon – that’s a big cheat to yourself..‎ Inferiority complex brings depression and depression brings sudden death, especially to women..
What you wear determines how men will price you, you can’t wear it cheap and expect Dangote to eye you, you can’t dress shabbily and expect to impress the Real-Men.. While you’re busy spending thousands on meaningless things, the wise ones spends wisely on wears and jewelries.. Wear something unique and classy then go out and catch fun, because Real men won’t come to you, you need to walk to them..
And for those that has Bae, let your Bae see you with something different.. . Back to guys, some of you like wrist-watches and shoes but behold, the texture of what you’re wearing speaks a lot, you can’t be wearing casual outfits and expecting people to issue a mouth-watering contract to you… Regardless of your age or tribe, you need something that call attentions..
We hope her desperate approach to market her clothing store will not backfire. Why bring the devil into common matters like this?? MARK ZUCKERBERG OF FACEBOOK NETWORK IS OVER 74B DOLLARS YOUNGEST MAN AND YOUNGEST RICHEST WOMAN WHO OWNS THERANUS WORTH 3.4 BILLION .BOTH ARE 34 YRS OLD.THEY DONT DRESS TO KILL.ZUCKERBERG WAS IN NAIJA LAST YR WITH A SHIRT AND JEAN ROCKING IT WITH SNICKERS BUT WAS AROUND TO MOTIVATE OUR YOUNG ASPIRING ENTREPRENEURS.IT DOESNT END WITH FROLICKING WITH ARISTOS TO OPEN UP A CLOTHING STORE,THE ABOVE PEOPLE I MENTIONED DID NOT FLAUNT THEIR 25 DOLLAR OUTFIT BUT WAS ABLE TO MOVE SERIOUS YOUTHS TO STARDOM.YOUR SOURCE OF INCOME AND YOUR LIFESTYLE VIVIDLY EXPOSED YOUR EMPTINESS AND THE REALITY OF LIFE DOESNT END WITH VERSACE OUTFIT OR ARMANI SHOES. I can’t add anything more..well said….clueless people with fake life,that’s extent she can reason which speaks volume about her and her colleagues. We hear you o! Usually they attribute half naked dressing to the devil, now it is the other way round. The lady however looks very regal and elegant in the photo. Wish her the best in her endeavors! She looks good in that attire. She said that to attract people to her clothing store. This woman is not empty upstairs, that is her market strategy but a bad one. What counts is not what goes into you but what comes out of you. If you have money, eat healthy, be simple, humble and not pompous. Saying that the devil is manipulating those who have money and dress simple is not a good marketing strategy but shows you as an empty headed gold digger.